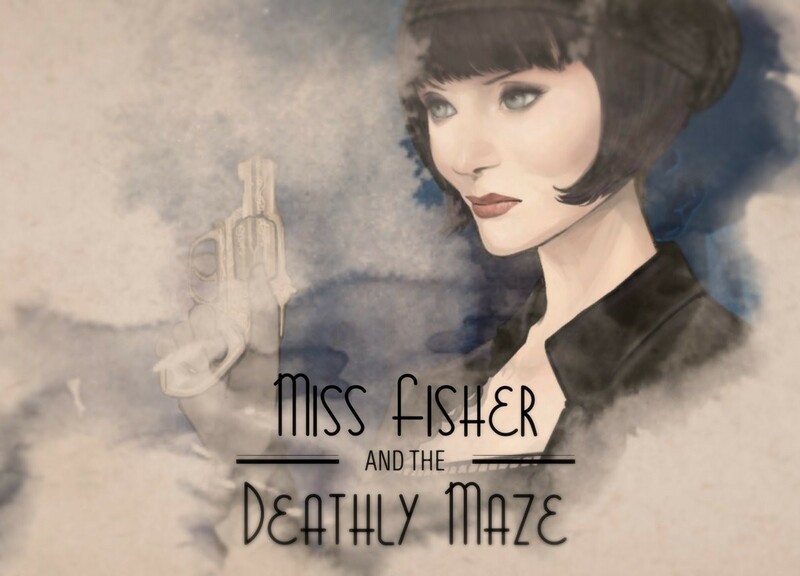 What a delightful little visual novel Miss Fisher and the Deathly Maze is. And, what a wonderful example of Australian creativity that permeates every part of the game. It’s an Australian-developed game (by Tin Man Games), based on one of the highest-profile Australian television series ever produced, and that in turn was based on the books of Australia’s own Agatha Christie, Kerry Greenwood. Games just don’t get more Australian than that. Related reading: Also from Tin Man Games is the brilliant Ryan North's To Be Or Not To Be. Matt's full review. The Miss Fisher franchise is a series of books, TV shows, and now games that focus on the titular Phryne Fisher, as she goes about solving all manner of crimes as a hobby. As with Christie’s Miss Marple and Hercule Poirot (and indeed, Arthur Conan Doyle’s Sherlock Holmes, the literary figure that started it all), Fisher is not attached to the law. She’s a wealthy aristocrat, with a startling range of talents; right up to the ability to fly planes. Set in Melbourne in the 1920s, Fisher also represents a very classy deconstruction of social norms. She wears pants, for a start, which was just unheard of back in those days, and carries herself with a wit and class that means she gets away with being outrageous by virtue of simply being better than everyone else. The way Greenwood has been able to use this character from a bygone era to hone in on a feminist message that remains relevant today is impressive, and the game does a good job of reflecting the unique qualities of the character as they’ve been portrayed through both books and TV. In this particular story, Fisher is pulled into a murder mystery when one of the performers of an opera that she’s attending turns up on stage dead. Through the typical labyrinthine red herrings and suspicious characters, Fisher and her detective ally, Jack, need to figure out who the real culprit is, while dealing with obfuscation from the closed, and very private, upper echelons of 1920s high society. The game moves at a snappy pace, and there’s so much personality and wit written into each line of text that it’s impossible to put the game down. 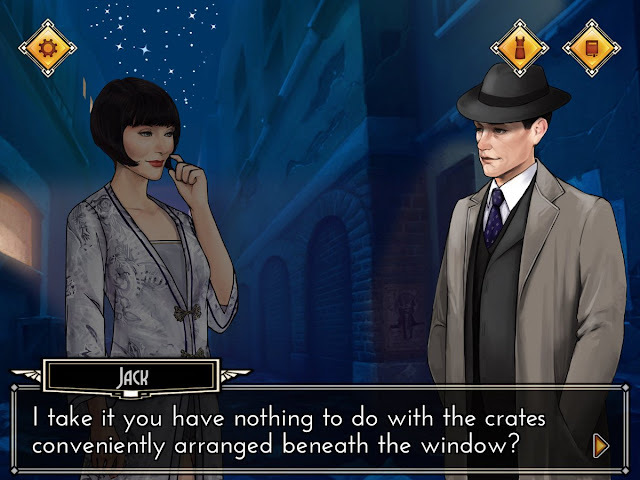 As a predominantly visual novel, the actual interactivity of Miss Fisher is limited; there are moments where you’ll get to choose who to speak to next, and the occasional moment where you’ll need to combine two clues discovered along the way in order to make a deduction and push the story forward - but this isn’t a very “gamey” game. On the one hand I did feel that this is a bit of a missed opportunity. Other mystery visual novels (such as Root Letter or Danganronpa) have more interactivity in them, and it doesn’t hurt the storytelling; with mystery games, I do like to feel I have the agency to solve the thing myself. On the other hand, I can understand the developer’s desire to make sure that players don’t get stuck, as this is pitched at a far broader audience than those who take their games seriously. Ultimately, I didn’t mind playing along with the game on its own terms, as it is a real page turner, and just as I have with the best of Christie or Conan Doyle, I found myself trying to guess whodunnit well before the game’s conclusion. 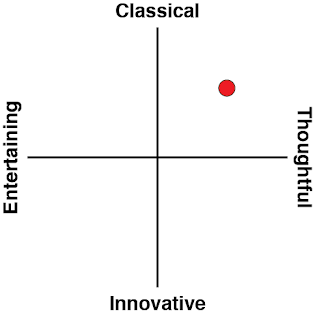 Surprisingly, I didn’t guess right. 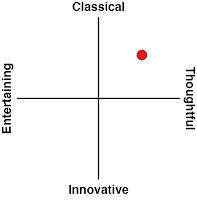 Usually I’m quite good at these things. 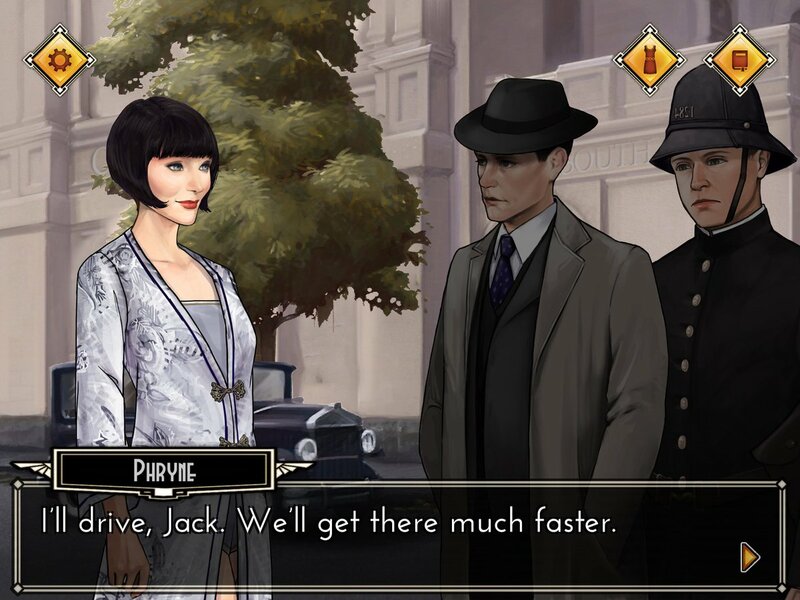 Helping to emphasise the plot is the game’s presentation, with gorgeously-rendered art that succeeds in capturing the essence of the television show (right down to the likeness of the actors in their roles), and sets that simply drip with the atmosphere of a 1920s period piece. The jazzy music is also tonally ripped straight from the era and sets the perfect mood. What is disappointing is that the developers weren’t able to get the actors to voice their roles; one assumes this would have completely blown the budget, and as it is a small game developed by a small team it’s hard to hold this against them. Related reading: Meanwhile on console, the superb mystery, Root Letter, is another must-play visual novel. Matt's full review. More than anything else, though, what I love about Miss Fisher is the way that the game really represents a very Australian sense of storytelling and aesthetics. As long-time readers know, I often talk about how I’d like for Australia (and other markets around the world) to develop a unique identity in game production, distinct from the US, much like Japan has. This game is an example of that. It’s got that droll sense of humour that we do so well, and the art captures old Melbourne perfectly. If this game helps people discover the Miss Fisher novels and TV series, then so much the better, because they are a bit of a cultural icon that doesn’t get talked about nearly enough. As the title suggests, this is just the start of an episodic series of visual novels starring Miss Fisher, and that’s just fine and dandy by me. I can’t wait for episode 2.